Show your team spirit with Blackhound Equestrian gear! Place your order by emailing us. Orders typically take 4-8 weeks, depending on the item. Navy logo hat. Adjustable velcro closure fits all sizes. Ride in style! 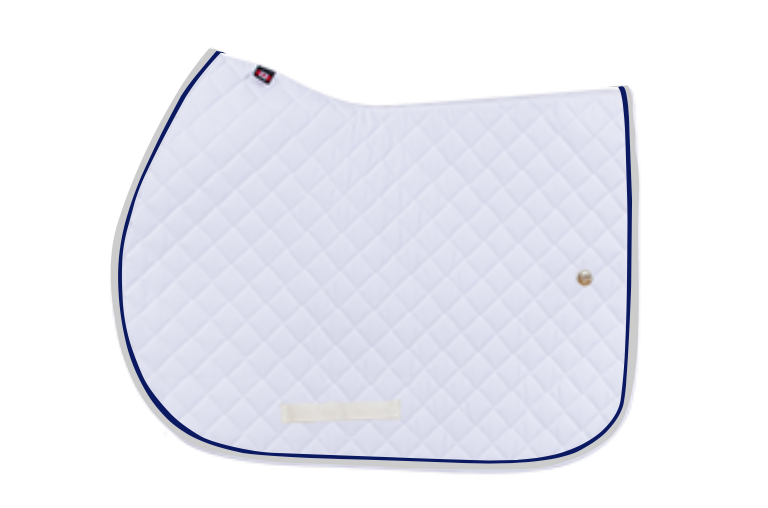 Custom logo saddle pad from Ogilvy Equestrian. Black soft shell jacket. Wind and water-resistant. Classic wood trunk with grooming tote and sliding shelf. Brass nameplate with your name makes it just for you. Includes black metal stand. Provide your trunk with stylish protection from the elements. Custom cover in barn colors with your last name embroidered on the sides. Navy is the new black. Available in women’s XXS-XXL and men’s XS-XXL. Light gray or navy merino wool sweater. Available in women’s XXS-XXL and men’s XS-XXL.